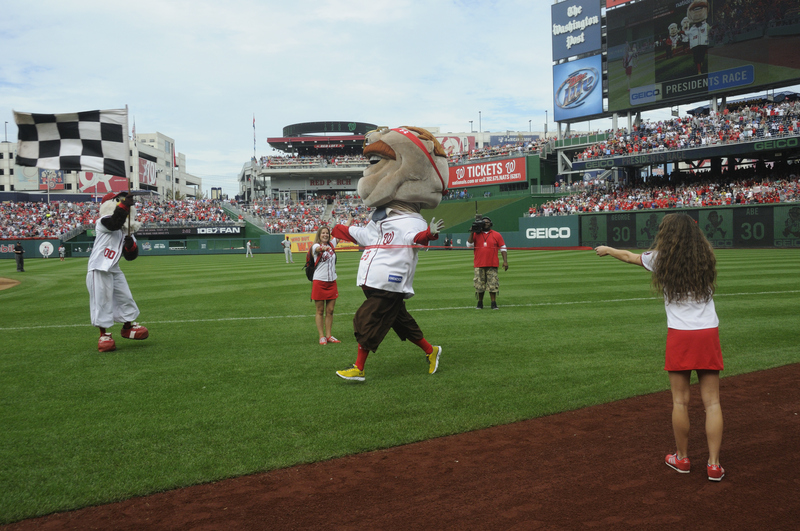 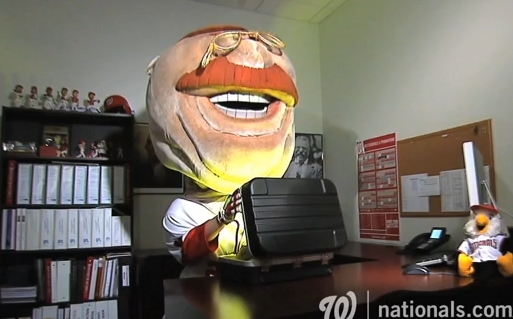 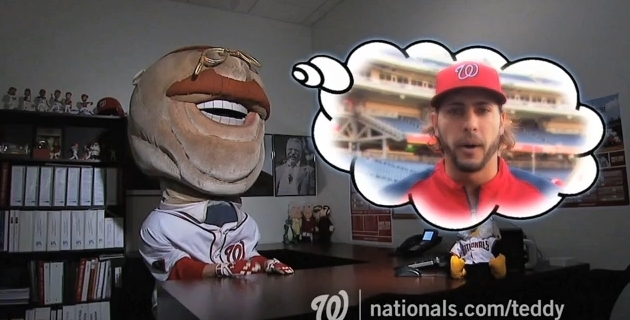 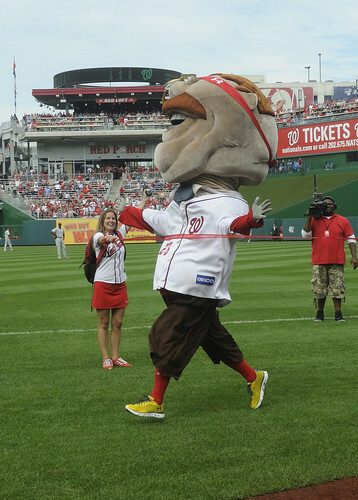 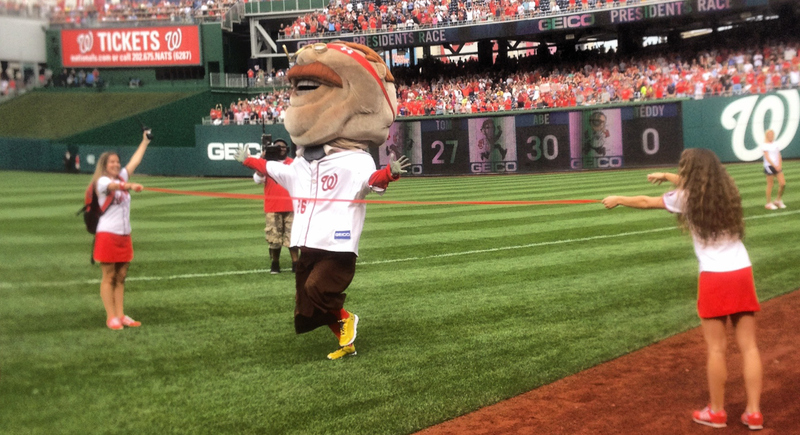 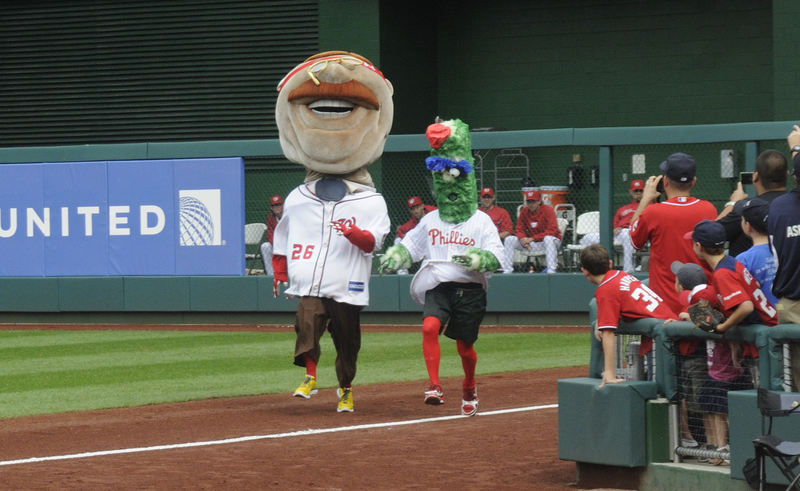 Teddy Wins His First Presidents Race on Historic Day at Nationals Park (Videos, Photos, & More) | Let Teddy Win! 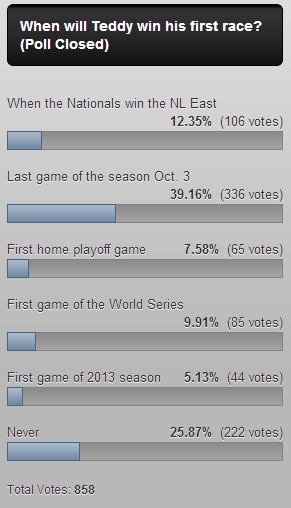 Please update your consecutive losses streak, and enjoy the playoffs! 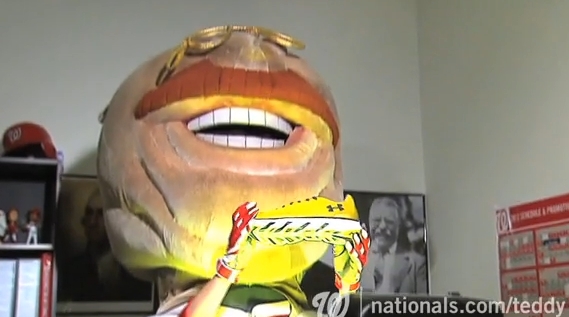 I still think it (not Teddy) looks like a crosschecking pickle.I’m elated Teddy won, but think the pickle is a poor substitute for NHL on TV.